Tomorrow afternoon from 2PM-4PM, four of our favorite mobile vendors will be giving away free food in Central Park. 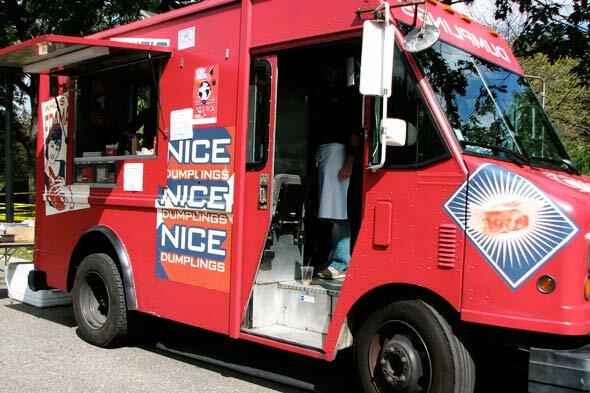 Ladle of Love, Pera Turkish Tacos, Rickshaw Dumplings, and Van Leeuwen Ice Cream will be stationed at the Tavern on the Green Food Truck Terrace (67th Street and Central Park West) dishing out complimentary menu items. There's a limit of one item, per customer, per vendor. Enjoy! *Please note, this event was originally scheduled for today, but has been postponed because of the weather forecast. Who was the band who played here? They were great!